Home » Stocks » Logistics sector: Which stock should you ride on? VRL Logistics and Allcargo Logistics, two of the biggest companies in the logistics sector, reported steady earnings in the third quarter as the companies benefitted from an improved demand. We analyse the quarterly results of these two companies to check if they make a case for investment at this juncture. For the quarter ended December 2018, AllCargo’s revenues jumped 22 percent YoY to Rs 1,803 crore. The revenue growth was driven by the healthy volume growth across its key business segments. 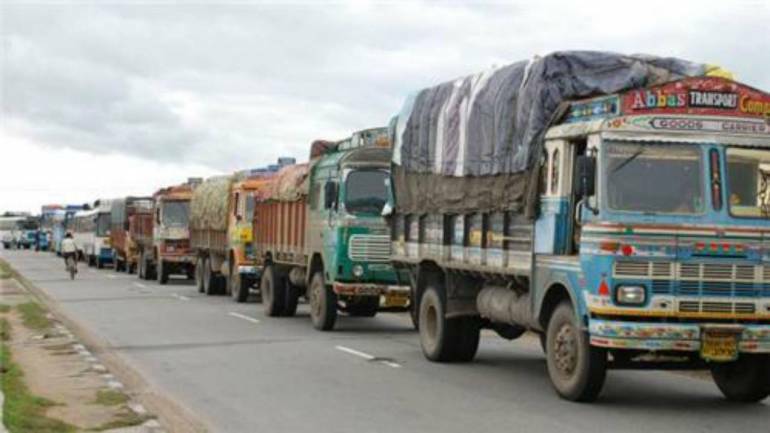 On a segmental basis, the MultiModal Transport Operations (MTO) revenues for Q3 FY19 increased 22 percent YoY to Rs 1,623 crores driven by healthy growth of 17 percent in volumes. Margins, however, dipped a bit due to change in business mix towards lower margin FCL business. The Container Freight Station (CFS) segment also had a strong quarter as the volume growth of 15 percent drove the 25 percent increase in topline. The incremental volumes was mainly attributed to Kolkata and Chennai CFS. The management expects it to break-even in coming quarters. The Projects & Engineering Solutions (PES) segment benefitted from an improved demand from wind and power sector. To revive this segment, Allcargo has increased its focus on Project Transportation, where the current executable order book is around Rs 185 Cr. Further, the company is also exploring opportunities in neighbouring countries like Sri Lanka, Myanmar, Nepal and Bangladesh to enhance capacity utilisation. Allcargo has started monetising its land banks across Bangalore (110 acres), Jhajjar (180 acres) and Hyderabad (30 acres) through the development of warehouses and logistics parks. The construction at these locations is under way and revenue benefits from these facilities would start accruing from next financial year. The company aims to offer warehousing, contract logistics and first and last mile connectivity through these multi modal logistics parks. VRL’s sales for the quarter increased by 13 percent to Rs 551 crores. EBITDA also came in 13 percent higher than last year at Rs 44 crores as the margins came in stable at 12.6 percent. Lower other income impacted the bottomline, which increased by 6 percent YoY. Operating leverage resulting from change in axle-loading norms along with freight rate revision and change in fuel mix (higher usage of bio-diesel) aided the sharp improvement in margins (12.6 percent in Q3 vs 10.5 percent in Q2) on a sequential basis. The Good Transport (GT) segment revenue growth stood at 14 percent in the third quarter of the current fiscal year. This was driven by a combination of 5 percent YoY growth in volumes (tonnage) and 9 percent YoY growth in realisations. Bus transport (BT) segment revenue growth of 10 percent in Q3 FY19 was led by higher realisations (9 percent higher YoY). The passenger growth for the segment was muted at 2 percent YoY. Fleet addition (of ~300 vehicles) along with land acquisition has resulted in the increase in net debt to 110 crores at the end of Q3 FY19 from 63 crores in Q4 FY18. Consequently, the net debt–equity ratio has increased but remains comfortable at 0.2x. VRL has indicated a capex of Rs 600 crore over FY19 and FY20, of which around Rs 150 crores has already been spent in 9M FY19. The capex will primarily be used to add 1,000-1,200 vehicles in the GT segment (at a run rate of 40-50 trucks per month). The management has lowered its volume growth guidance to 7-8 percent for FY19 (vs 10 percent earlier) due to increase in competitive intensity. VRL has a strong domestic focus, while Allcargo’s business activity has a greater correlation with the global trade activity. Both the businesses have a proven track record of execution but Allcargo is our preferred pick, among the two, given the comfort on valuations. While its business remains exposed to macro risk in a slowing global economy, the risk-reward ratio appears favourable on the back of anticipated improvement in domestic earnings trajectory towards the second half of next fiscal year. The return ratios (FY18 RoCE: 10.6 percent) appear subdued currently but should improve going ahead. Investors should take advantage of the market volatility to build their positions in the stock over the next 3-6 months.